One thing other boy bands can learn from One Direction is how to just let go and have some fun. 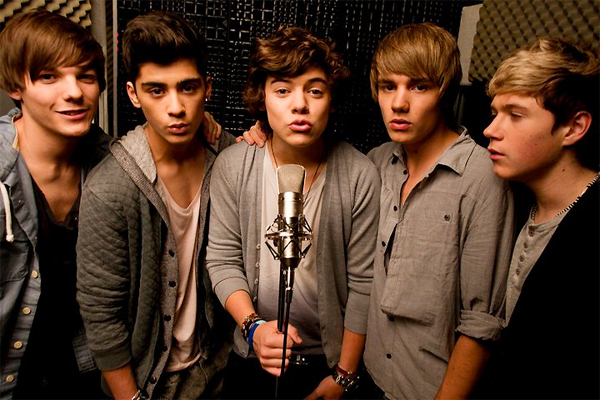 The 5 boys of One Direction practically embody the term “manufactured pop”, having been cobbled together during their stint on British music-talent competition, The X Factor. Niall Horan, Zayn Malik, Harry Styles, Louis Tomlinson and Liam Payne initially auditioned separately for the 7th season of the reality competition but failed to qualify for the ‘Boys’ category. But a stroke of genius from guest judge and former Pussycat Doll, Nicole Scherzinger, saw the 5 lads put together to compete in the ‘Groups’ category, under the tutelage of show creator Simon Cowell. As a result, they dominated the show and walked away with 3rd place. Since the series’ end last December, the boys have gone on to bigger and better things, proving that you don’t have to be crowned to emerge winners. Following their elimination, they signed a £2 million (about S$4,060,000) record deal with Cowell’s Syco Music, home to similarly created opera group Il Divo, as well as other talent show stars like Leona Lewis and Susan Boyle. Besides driving teenage girls all over the world wild with their good looks and cute smiles, One Direction has been busy writing (they have writing credits on 3 of the tracks) and recording for their debut studio album, “Up All Night”. The result is a 13-track collection of sunshine pop hooks and toe-tapping melodies, with the prerequisite 2 or 3 smoochy ballads. The album starts out on a high note with the ridiculously catchy ‘What Makes You Beautiful’, which is also the debut single from the boy band. With its earworm “Na na na” hook, it’s no wonder it became the fastest selling single of 2011 in the UK, shifting a whopping 153, 965 copies in its first week of sales and beating the year’s previous record of 149, 834 set by Bruno Mars’ explosive hit, ‘Grenade’. Although the rest of the album doesn’t quite replicate the infectiousness of its opening track, they’re still pretty good and will definitely appeal to fans of The Click Five with its similar brand of breezy pop music made up of addictive choruses and pleasant harmonies. Their straightforward lyrics also don’t really set out to change the world, but instead, reflect their youthful exuberance (“It’s everything about you, you, you / The way you make it feel new, new, new / Like every party is just us two”), which their target audience of teenagers is sure to relate to. One of the highlights is the title track, a perfect example of how you don’t need pulsating electro beats and mindlessly repetitive lyrics in order to be a decent party song (although we’re not so sure about the unnecessary Katy Perry name check). American Idol alum Kelly Clarkson also lends her songwriting skills to the upbeat and undeniably radio-friendly ‘Tell Me A Lie’. Although up-tempo pieces clearly dominate the CD, heartfelt ballads ‘Taken’ and ‘Same Mistakes’ – the latter with a distinct The Script feel – are also pulled off impressively by the guys. Both slowies are so sincere and romantic that you almost wish you were the object of their affections. Admittedly, the former number sounds like a ‘Big Girls Don’t Cry’-meets-‘If I Were A Boy’ mash-up, but particularly memorable and worth a mention is the verse that Zayn convincingly belts out (his solo part starts at “Thank you for showing me / Who you are underneath”). Photos credit to One Direction Fan Club (UK) and Nokia UK. Occasionally, a filler or two find their way into the album. ‘More Than This’ is a forgettable track that lacks any real hook, and ‘Everything About You’ and ‘Save You Tonight’ while perfectly serviceable, feel a little too predictable. One thing that is commendable though, is how the boys attack each song with earnest enthusiasm. The piano-driven ‘I Want’ is a standout that sounds like it’s taken off a McFly record, likely due to the fact that the band’s lead singer, Tom Fletcher, wrote the tune itself. Coincidentally, One Direction seems to be experiencing the same kind of heady success that hit McFly back in 2004 when they had first debuted. Unfortunately, the closer ‘Stole My Heart’, a synth-laden number that sounds eerily similar to Taio Cruz’s ‘Dynamite’, seems to be an odd fit with the rest of the record. 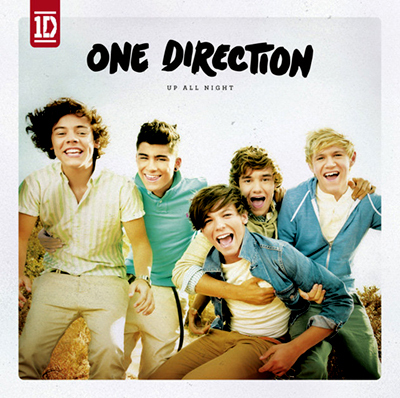 As a whole, the album doesn’t really have a distinct sound that is immediately identifiable to One Direction, but it’s still a shamelessly enjoyable pop record and a surprisingly decent debut effort.